This engaging & useful presentation focuses on a compelling Social Networking strategy for the new or existing Small Business. Emphasis is on practical & immediate ways to develop & execute a targeted plan. Learn how to reach your target customer and optimize digital component of your Marketing plan. Develop a Management Dashboard to drive a Magnetic Content Strategy & Lead Nurturing. Gain insights to optimize your use of Google-Linkedin-Facebook-Twitter and many other sites. Identify the tools, methods, and process to create a winning digital strategy. Confirm your new knowledge base with practice sessions. Sponsored by SCORE Chapter 34 – serving the Tri-state Small Business community with low-cost education and free mentoring since 1964. SCORE is the Non-Profit resource partner to the U. S. Small Business Administration, U.S. Department of Commerce. Ms. Michelle Hummel was recently nominated for the Woman-Owned Business of the Year! Published author of three books in a series called, “The Social Media Magnet: Everything You Need to Know to Attract Customers with Social Media”, sharing her best-kept secrets. She travels Nationwide providing keynotes and in-depth social media training. Whether you require a professional website or need help promoting it, the team at Web Strategy Plus can help you with it all. They specialize in helping Franchisors develop an integrated overall web marketing program to drive leads for their franchisees and for recruitment. She is a passionate Internet Marketer with 15+ years of successful online marketing experience. 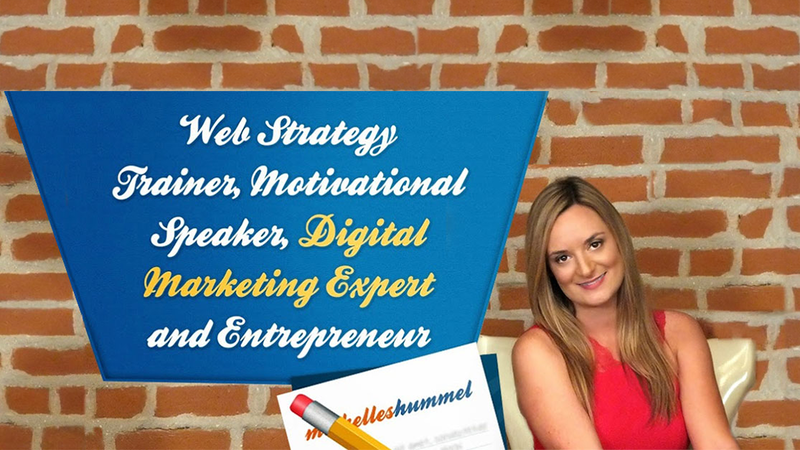 Michelle also holds a valuable Internet Marketing Degree – however, with the ever-changing world of online marketing she strives to learn something new every day.